need Help create a better San Francisco by designing a food storage or preparation solution for the residents of the Central Market/Tenderloin neighborhood. More info here. 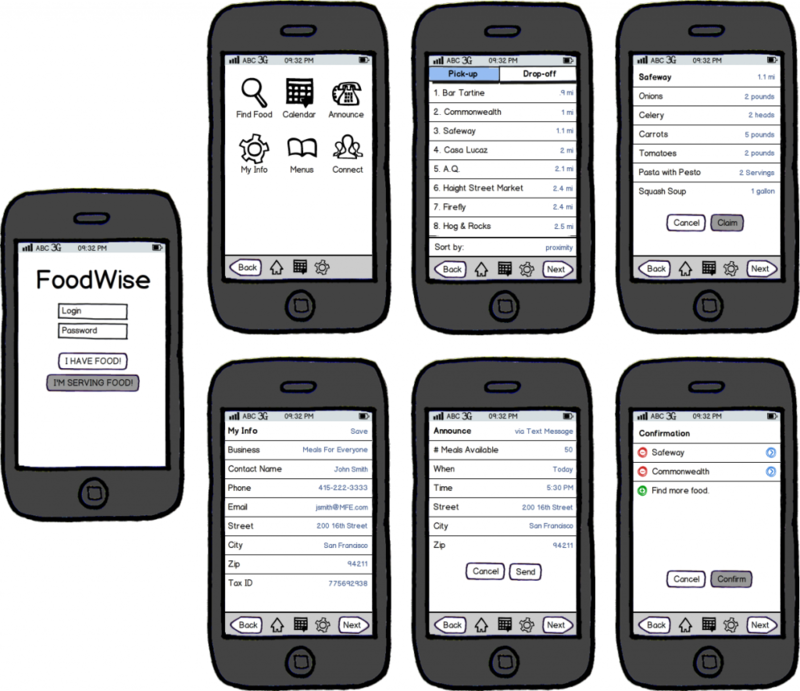 Restaurants, supermarkets, and individuals with extra food can log into a mobile app or website and select food items they wish to donate. 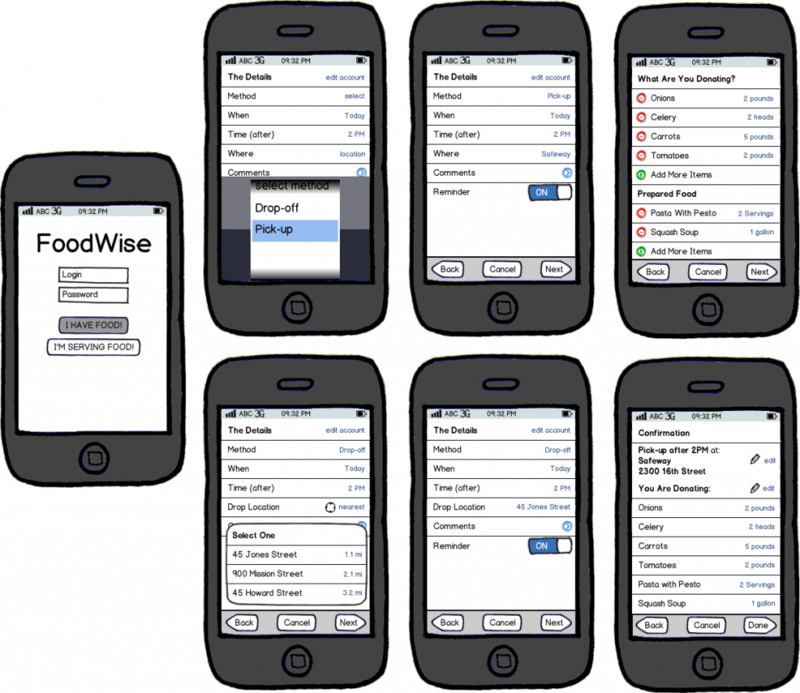 They can indicate whether they would like to have the food picked up or if they are able to drop it off. They can indicate what time works best for the transaction and if they would like to be reminded an hour before. Donors will receive the recipient’s Tax-ID number after the transaction and can list the donation as a deduction on Schedule A of their tax returns. 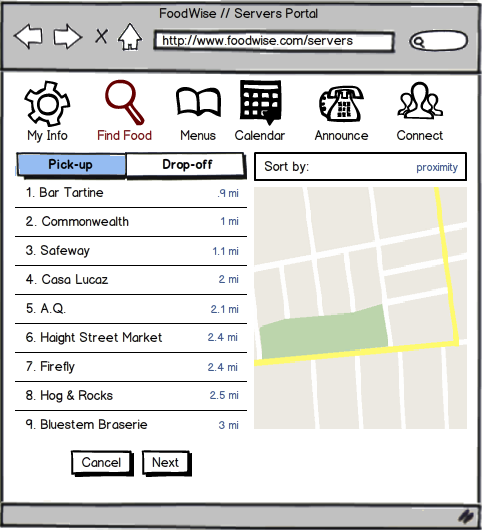 Providers can log into the same application or website and see a list of available food items for pick-up and drop-off. They can sort them based on a number of criteria and claim them through the application. All information needed to receive the items or pick them up will be available after they are claimed. 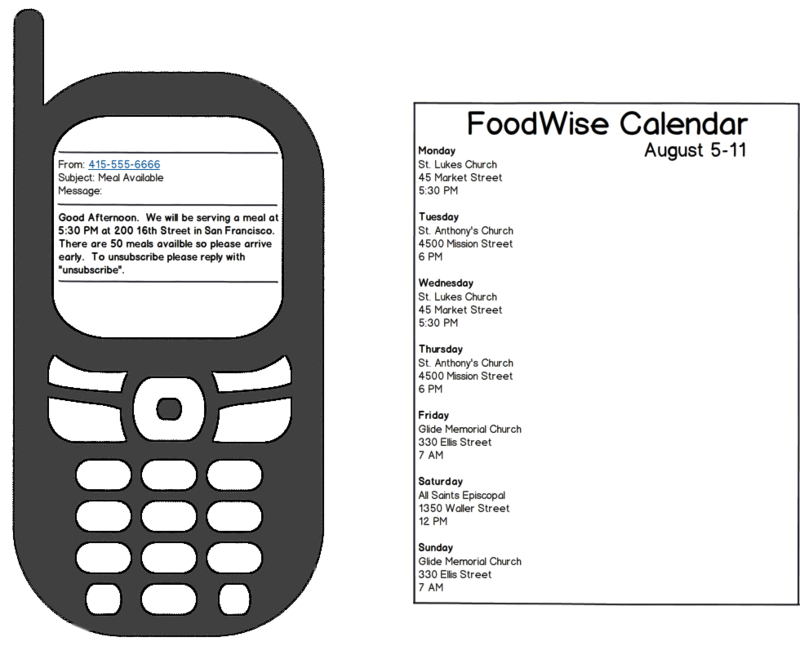 Providers can then send out a blast with their menus and serving times to people that have signed up to receive updates via Text Message. Their menus can also be downloaded by SRO administrators and posted in lobbies and in other community areas like convenience stores and libraries.